The Indian U-17 World Cup Squad lost 0-1 against Iran in the Granatkin Tournament in St. Petersburg, Russia today (January 17, 2017). The Indian Colts will now face Tajikistan in a play-off match on January 20, 2017, which will decide wether the Colts will finish 15th or 16th in a Tournament that featured 16 Teams from across the globe. 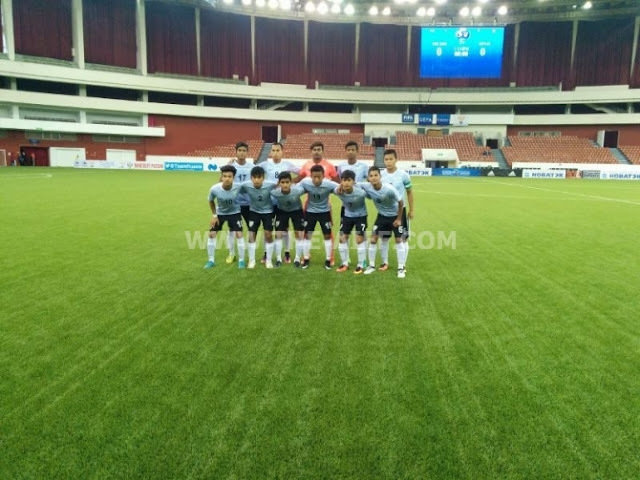 However, the Indian U-17 World Cup Team dominated the early minutes of the match and as early as the 8th minute Abhijit Sarkar failed to tap the ball home into an empty net after he latched onto a Komal cross. In the 36th minute, Amarjit created a one versus one scenario against the Iranian custodian, but failed to find the back of the net as India pressed for a goal. Four minutes later, Iran found the back of the net as Sharifi chipped Tamal Naskar with ease to hand Iran the lead. After the half-time scoreline read 1-0 in Iran’s favour, India upped the ante. In the 68th minute, Joysana missed a 1v1 scenario against the Iranian custodian and then shortly after Abhijit Sarkar failed to apply the finishing touches for India as the Colts struggled to finish their chances infront of goal. Despite not allowing Iran to dominate and stealing possession from them every now and then, the Indian Colts could do little infront of the opposition goal and at the end of full-time the scoreline read 1-0 in Iran’s favour.